Join NOMA’s docents for a free guided tour of the Sydney and Walda Besthoff Sculpture Garden on Fridays, Saturdays, and Mondays, weather dependent, at noon. 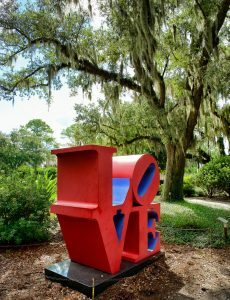 Represented sculptors include Pierre Auguste Renoir, Rene Magritte, Henry Moore, Isamu Noguchi, and Robert Indiana, among others. Meet at the gates to the garden, which offers free admission year-round.